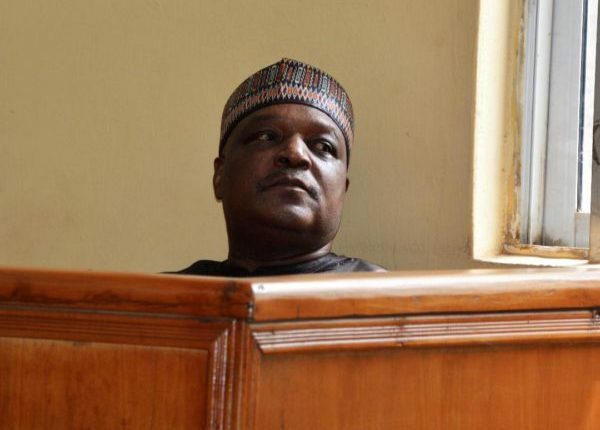 Abuja High Court judge, Justice Adebunkola Banjoko finds former Taraba State Governor, Jolly Nyame guilty of fraudulent approval of about N1.64 Billion and sentenced him to 14 years imprisonment without an option of fine. TheCableng gathered that the federal capital territory high court gave him no option of fine and blamed him for financial recklessness and brazen display of executive power without following due process. Mr Nyame was found guilty of 27 out of 41 counts of alleged diversion of public funds while he served as governor of Taraba State. He was charged by the Economic and Financial Crimes Commission (EFCC) for allegedly diverting N1.64 billion while he served as governor between 1999 to 2007. The judge sentenced the defendant to four different terms in prison, after finding him guilty of receiving gratification, obtaining public funds without due consideration, criminal breach of trust and gratification. The various sentences include a time of prison for two, five, seven and 14 years respectively. The judge Adebukola Banjoko however noted that the terms are expected to run concurrently, meaning he would serve 14 years in jail unless the conviction is upturned by a higher court. In the lengthy judgement that lasted over four hours, the judge narrated how several witnesses brought to court by both parties corroborated the allegation of fraud against the defendant. Despite claims by Mr Nyame that he never knew the said company, the court found him guilty of breaching public trust after noting that the ex-governor confirmed approving the memo wherein the order for the transfer of the funds was made. The court held that Mr Nyame is guilty of over half of the charges.